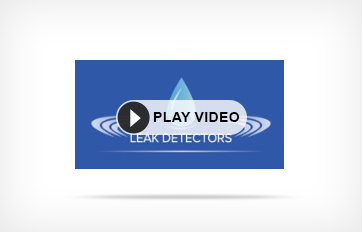 ← How to Find Leaks using Helium Leak Detection? Today, many homeowners use natural gas for heating and cooking. It is cheaper compare to electricity so people use more natural gas in their daily lives. It provides efficient, clean and quick heat to cook your food or to warm your home. But there is one major risk in the use of natural gas that is it produce Carbon Monoxide when it leaks. The gas leak is extremely dangerous for your health and your home. Gas leak occurs when there is something wrong in the gas installation system. The natural gas leak occurs very slowly in your home. You do not know immediately that you have a gas leak in your home. There are some signs of gas leak that can help you to identify the gas leak. If you feel you have a gas leak then immediately call the gas leak detection service provider company to find and fix your gas leak problem. Strange Sounds: When the gas leak is occurring it makes strange noises from the gas pipeline or from the gas appliances. It makes sounds like hissing, roaring and whistling. This indicates the gas leak problem and you have to fix immediately. Odor Sign: When you walk into your home and you smell like rotten egg then you have a gas leak. The natural gas is colorless and odorless but to easily detect the gas, the gas companies add the odor to the gas. So the rotten egg smell is a clear sign of a gas leak. Immediately call the gas leak detection expert company and find the exact location of a gas leak. Bubbling in Wet or Flooded Area: The wet area of the ground will bubble if there is a gas leak under the ground. Mark the direction of the gas line so you know which area needs to check for the gas leak. If you ever see bubbles around the gas line then you should call the gas leak detection company. Dry Plants: If you have an outdoor gas leak then look your landscape that is around your gas line. You can see the dry plants with no visible cause. The only reason is a gas leak. The Unknown Breeze: Because of the pressure in the gas line, the gas leak can cause plants to be blown as if by a mysterious breeze. The unknown air from the ground it the clear sign of gas leak. Physical Symptoms: There are many physical symptoms of gas leak. The gas leak can be dangerous for your health if you do not take immediate action on it. Suddenly you feel tired and you have headache with no visible reason than it might be caused by gas leak. Ask your other home members whether they feel similar to you or not. Migraines, dizziness, nausea, fatigue, severe allergies, irregular breathing, increase in forgetfulness, mental diseases, depression, asthma, skin problems and many more. 1. Do not install the natural gas line to close to other buildings in which people live. 2. Make sure your home or building is not constructed over the gas line. 3. Always read an follow the instruction on how to use natural gas appliances. 4. Always clean your gas meter, pipe and other gas equipment with the use of broom. 5. Only call professionals to install the gas appliances such as gas space heaters. 6. Keep your water heater temperature 120 degrees or lower and always check the temperature before going into the bathtub. Keep away your children from the bathtub. 7. Do not use gasoline or other flammable liquids near your gas appliances. 8. Regularly inspect the heating and venting equipment from licensed professionals. This entry was posted in Gas Leak Detection and tagged Gas Leak, Leaking Gas, Signs of Gas Leak. Bookmark the permalink.